Born and raised in Muslim Turkey, Derya Little wandered far and wide in search of her true home. 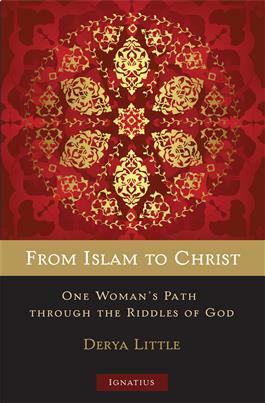 After her parents’ divorce, she rejected her family’s Islamic faith and became an atheist. During her stormy adolescence, she tried to convince a Christian missionary that there is no God but was converted to Christ instead. Her winding path through the riddles of God was not over, however. While attending a Turkish university and serving as a Christian youth minister, Derya began to compare the teachings of Protestantism and Catholicism, and during her doctoral studies in England, she entered the Catholic Church. Ultimately, she ended up in the United States, where she has become a citizen and has settled down to raise a family.